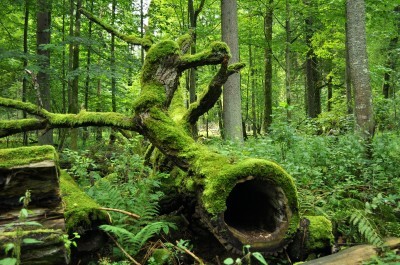 The ancient forest of Białowieża [image left] – the last remaining primeval forest in the European lowlands – straddles the Polish/ Belarus border, and is the last home of wild European bison. It is now under threat from a Polish government decision to log more than 180,000 cubic metres. Meanwhile, the Finnish Government has unexpectedly brought forward to today a vote in the Finnish Parliament on a new Forestry Act that will enable it to engage in an unprecedented land grab that threatens the last old growth forests of Finnish Lapland and the reindeer herding homeland of the indigenous Sámi Peoples. While Finnish education may be the envy of the world, one aspect of it appears to leave mainstream Finnish foresters unable to contemplate any approach to forestry that does not involve turning the rich biodiversity of indigenous forests into commercial monocultures. This is an approach they are still exporting to the rest of the world with disastrous consequences for indigenous forests and indigenous peoples elsewhere. Now the same approach is being turned on their own last remaining old growth indigenous forests: the reindeer herding homeland of the indigenous Sámi Peoples. “This crisis arrives in a context in which the previous Finnish Government failed to ratify the UN Convention on the Rights of Indigenous Peoples, leaving the Sámi vulnerable. Now the current government in Finland is moving fast to completely wreck the existing rights of the only Indigenous Peoples living in the European Union. . .
“The new Act would affect 2.2 million hectares of water systems and 360,000 hectares of land, mostly in the Sub-Arctic and North Boreal areas of Finland, the Sámi’s Home Area. This area constitutes the last preserved wilderness of Europe. The Act would transfer power over this region further into the hands of state authorities, opening up the Sámi Home Area and sub-Arctic ecosystems to railway construction, and with that, potential expansion of mining, forestry and other infrastructure projects. “Despite fierce opposition from a large part of the Finnish public, all Sámi reindeer herding cooperatives, Snowchange and a large international coalition of peoples, the Forestry Act has passed one hour ago in the Finnish Parliament. “108 MPs voted for the Act, 64 against, 3 voted nothing. Finnish parliament has 200 MPs. The law will take effect when the Finnish President will sign it, expected to be 15th April, 2016. “It is a dark hour for Finland, for the Arctic and climate change, as the forests the law will now condemn to clear cuts act as crucial carbon sinks for the world, in addition to being the Sámi homeland. Additionally, 2,2 million hectares of waters will be the subject of potential commercial uses.